The structure of this book is like a review of many related Steiner books — like a review of mine of a Steiner book — it is composed of detailed commentary interspersed between quoted passages from the book(s). This poses the problem of how do I write my review of this book of reviews and commentary? Perhaps I will start with some thoughts which came to me near the end of the book as I was reading it — thoughts which I would not have had except for this book. Let my thoughts give you a glimmer of the wealth of information contained within the covers of this long-out-of-print 143 page book by the Kirchner-Bockholts. They have pulled together in one short volume the key passages and connecting thoughts of the incredible series of lifetimes of Rudolf Steiner and Ita Wegman from near pre-historical times to the present era. 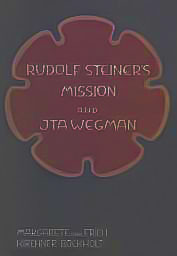 [page 7] from the Foreword: Such information about Ita Wegman as has been published hitherto conveys no true impression of the historic significance of her individuality in connection with Rudolf Steiner's mission to humanity. Hence the authors decided to collaborate in writing a book on the subject. After reading this incredible book, it occurred to me that so-called modern historians view events of the past much the way Martians might view a football game. They will have to invent motivations for the progress they observe left and right on the field, because the true motivations of the football players and the score will remain meaningless to Martian observers. Our modern historians single-mindedly view events of history by observing physical objects left on the ground after a "football game" or "war" (sometimes millennia later) and from the reports left by the combatants, and these historians are often as clueless about the purpose of the combatants actions as Martian observers would be, since the intents and motivations of the combatants are hidden from view and exist only in the spiritual realm, not the realm of sensory experience. Whether it's live action watched by Martians or it's stones, bones, inscribed clay tablets, or papyri analyzed by modern historians, neither will reveal the intents and motivations which produced the live action or the artifacts left behind it. This is especially pertinent to those modern historians analyzing why Alexander traveled so far over the known world. They ascribe his wanderings to his intent to conquer the world, but that glib attribution cannot explain why the world seemed more to conquer Alexander than vice-versa. Historians note the discontent of his army chiefs, dismayed by Alexander's actions, such as taking on the dress of foreign lands, often participating in their religious rites, kowtowing to local high priests, etc, but they en toto miss the point that Alexander was more of a missionary than a conqueror. Alexander was a harbinger of the Christ, a pre-Christian St. Paul, if you will, carrying to disparate lands and people the good news of Christ's reality and the approach of Christ to Earth. [page 87] When someone in the spiritual world is chosen to go to the Earth with a particular commission to fulfil, how must we picture the procedure? We all go to the Earth either with the injunction or an intention to fulfil the dictates of karma and the resolutions of which we have become aware in the spiritual world to meet those human beings who are truly connected with us by karma. In the spiritual world this is clearly in our ken and we are fully conscious of it. During the actual descent this knowledge is obscured but in the process of disappearing from clear consciousness it becomes an organ-forming power which in the Moon sphere helps to build the earthly body in accordance with spiritual resolutions in which lofty Beings play a part. In the body it now becomes the urge to fulfil destiny, to meet particular individuals, to endure suffering or catastrophes. Whither our body leads us — that is the karma-instinct or Ego-instinct in us. Such a mission infuses us, not with conscious intent, but with life-shaping decisions we make along the way so that, in the fullness of time, we meet the persons with whom we will fulfill our destiny. I have seen this operate so clearly in my own life that I can attest my feelings about these happenings is not a matter of belief on my part, but of certain knowledge. [page 93] The reason for our special love of roses is because they take into themselves and harbor the first memories of childhood. Gertrude Stein famously wrote, "A rose is a rose is a rose." And by that phrase she leads us to memories of our own childhood by reminding us that a rose is more than just a rose as we think of a rose, a rose contains memories of our early childhood during which we knew what our mission was, but through our maturation as a human being of the present time, we lost those memories. We lost the memories, but not the earthly body informed with a destiny to meet and fulfill. This book contained the informed destiny of two powerful individualities spread over six disparate lifetimes and across the pages of literature and history books from Gilgamesh and Enkidu to Ita Wegman and Rudolf Steiner. Is it unusual that two individualities as Steiner and Wegman should follow one another through multiple incarnations, always managing to meet each other? Not at all. No less than Rudolf Steiner explained it to me in a compelling way in one of his lectures in the Karmic Relationship series(1). Simply put: look around you, consider your age, your friends, and your immediate family members. If you are middle-aged or older, the friends you make in the present time and since middle-age are individualities who were likely members of your immediate family in a previous incarnation. Then you knew them since birth (your parents and younger siblings) or almost since birth. Now you meet them as strangers to whom some attraction grows into friendship. This is a general guideline only, but there is a potent point to made: someone you had a close relationship at any time in your previous lifetime will show up at some time in this lifetime so that you two may continue to balance your karmic acts and deeds involving each other. These deeds cannot be balanced unless you two re-incarnate together, i. e., with some intersecting lifetimes, no matter how short. Thus said, it seems clear that if karmic balancing occurs, then individualities must re-incarnate together. This is true for all human beings, not just for a few selected ones. What we find in the case of Rudolf Steiner (RS) and Ita Wegman (IW) are two individualities who assisting each other over multiple lifetimes, sometimes one leading, sometimes the other one. Enkidu (RS) leads Gilgamesh (IW) to seek immortality, and later Aristotle (RS) leads Alexander (IW) to spread understanding of the coming of Christ. If you read many of Steiner's lectures, you will find notes frequently explaining that he often covered during his lectures a slightly different subject than he had intended because of the questions he felt hovering in the minds or mouths of his audience. 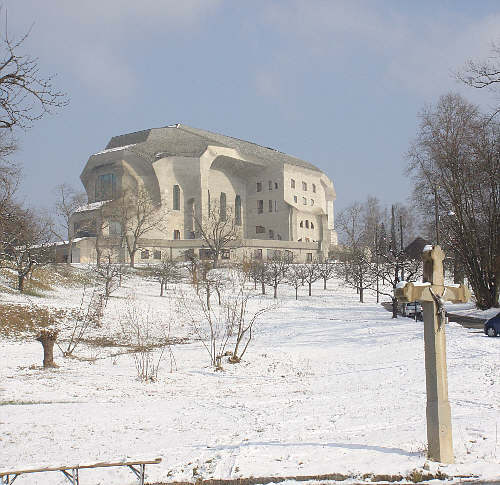 In his famous "Questions and Answers" sessions for the workers at the Goetheanum, there were no lectures, only Rudolf Steiner answering his workers' questions(2). They were engaged in building the magnificent architecture to be devoted to his Spiritual Science. They wanted answers and got them during work breaks at the construction site. [page 7, 8] from the Foreword: The law governing the work of every leader of mankind is that he may give impulses only when human beings are sufficiently alert to put the decisive questions to him. Hence he is particularly in need of individuals who place themselves at his disposal and support his aims unreservedly. In this next passage the authors lay out their aim for this book: "to shed light upon the spiritual backgrounds of their collaborative work." Ita Wegman took Steiner's first Medical Course in 1920 and decided after that to found a clinic in Arlesheim where "Rudolf Steiner's indications in the sphere of Therapy could be put to practical tests by qualified doctors." One prominent remnant from Wegman's laboratory for the production of remedies is the Weleda International who is still making and selling Steiner's remedies. 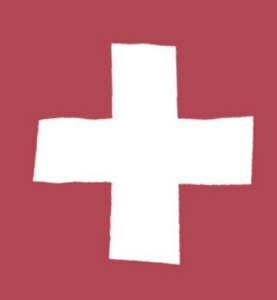 She died in the clinic she founded in Arlesheim, and it is now called the "Ita Wegman Clinic." One would be wrong if one got the impression that Steiner shared all his thoughts about people's previous incarnations with them. Only when the burning down of the first Goetheanum occurred did Wegman have questions which led him to speak to her about their previous experiences in Ephesus together. Usually he waited till members were 70 years old and Ita was only 47, but if he had waited till she was 70, he would not have been alive. The Diana temple in Ephesus, in which Steiner and Wegman had earlier been priests, had also burnt down, and on the very day that Alexander the Great was born, apparently set fire to by an arsonist. 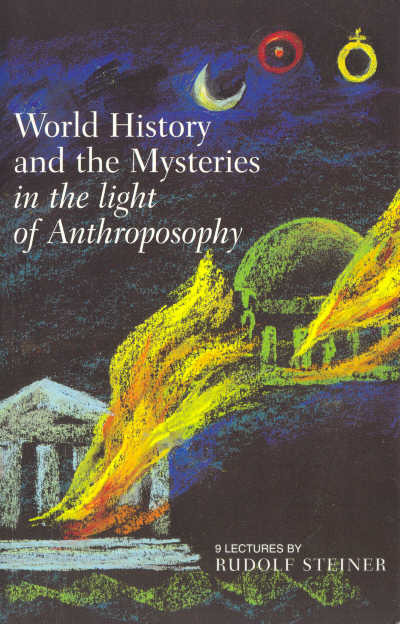 An artist's rendition of the burning of the two structures graces the cover of the book I read immediately before this one, "World History in the Light of Anthroposophy." [page 12] The communication about their concurrent incarnations was made to Ita Wegman when she herself was 47 years old. Certain spiritual happenings had been a determining factor here. In the year 1922, during the burning of the first Goetheanum, remembrances of Ephesus had certainly arisen in her, ripening her soul to the degree which enabled her to put questions to Rudolf Steiner on the subject of ancient and modern Mysteries, questions which made it possible for him to speak to her about karmic experiences also connected with Ephesus. When we recognize someone from a previous incarnation, we do best not to reveal that until the other somehow begins to perceive it, a condition described delicately by Steiner as "it ripened in her soul." When that happens, one might gently ask if it were true and the other might simply nod, "Yes." Here are five friendly nods from previous joint incarnations of Rudolf Steiner and Ita Wegman culminating in the most recent on the Dornach hill where the Goetheanum was being built(3). Around the Rose Cross stars. Who was Gilgamesh and why is he important to us today? He lived about 3,000 B.C. in the city of Uruk in Chaldea (Babylon area). We know him because his epic story is one of the few documents surviving from that time. Born at the beginning of the Kali Yuga dark age, it was a time when humans began to separate from their close connection to the spiritual world. Along with the freedom and independence this freedom brought a memory loss of previous incarnations and a concomitant fear of mortality for the first time. [page 15] Gilgamesh is described as one of the personalities who began "no longer to say 'I' to the spirit-and-soul part of their being in which they felt the presence of the Gods, but to say 'I' to that which was earthly and etheric in them"(4). Great epics which survive to this day are best understood as providing us a vision of great changes in human evolution, and as such they should not be read as we do modern histories which record deeds and battles. The key to understanding this epic is the seeking which Gilgamesh, previously the warrior, sets out upon after he meets Enkidu (Eabani). He seeks particularly in the area of Ireland(5) where the ancient Atlanteans first settled and became the Celts. They still knew the secret of immortality and Gilgamesh wished to learn it from them. He finally finds someone who tells him he must stay awake for very long periods of time, but he is unable to accomplish this. Staying awake like that was a process that humans of Atlantean times could do, but humankind had evolved and Gilgamesh was no longer able to do it. We see in Gilgamesh a heroic warrior who is unable to win his battle against the evolution of human consciousness. From his strivings we learn details comprising that evolution into a consciousness which we possess today. Gilgamesh was connected with the Archangel Michael (a Fire Spirit) and that close connection with Michael undoubtedly showed up in each of Gilgamesh's succeeding incarnations right up to Ita Wegman. [page 20] On the first tablet of the Gilgamesh Epic the inscription is: "One third of him is human, two thirds of him are divine." He was initiated during the Atlantean epoch. We may assume that he was there able to serve as the bodily instrument of an hierarchical Being of a Fire Spirit — Michael — in order that the impulses of that Being might take effect in the leadership of humanity(6). Enkidu has a natural clairvoyance which flows out into Gilgamesh and allows him to see some previous incarnations. After Enkidu dies, Gilgamesh begins his great search to overcome physical death and attain physical immortality. When Gilgamesh dies, he takes with his spirit many questions to be resolved during the time between death and a new birth. [page 21] When the life of Gilgamesh is also drawing to its close, what is it that remains in his soul and spirit as a longing and a powerful impulse? It is to perfect in the life after death and in a subsequent incarnation the knowledge that had remained unfulfilled. The problem of immortality with which he had wrestled and which had caused him great suffering, impels him to struggle for insight into the pre-existence of the soul, into man's connection with the creation of the world. Both personalities, Eabani and Gilgamesh, leave their bodies with the question in their souls: "How have we become what we are? What has been our share in the evolution of the Earth? The Earth's evolution has made us what we are." The unanswered questions of Gilgamesh at his death is one that I possessed and led me to find the answers in Enkidu's most recent incarnation as Rudolf Steiner. How have we evolved? What is our mission as humans on this planet Earth we call home? Steiner's answers to these questions are carefully laid out for everyone in his book, The Outline of Occult Science, wherein the parallel processes of human and Earth evolution, which was occult and hidden from the average human since Gilgamesh and Enkidu's time, are revealed. In the Heights of the Cosmos. Jean Auel, in her novel The Clan of the Cave Bear, portrays the Clan members as using a combination of grunts and gestures to communicate. A primitive language, one might say, but consider that such a language is universal and understood in all parts of the world, no matter what kind of word-based language they may speak. Travelers resort to grunts and gestures when words fail them. What was the world like during the transition from gesture-grunt communication to word-based language? Surely there would be some memorable tale of that transition in our folklore or mythology? Yes, it appears in the story of the Tower of Babel. When people of one clan began to use articulated sounds in place of nature sounds and gestures, they in effect built a tower of words, i.e., a language, by means of which they were unable to communicate with other clans, and soon the peoples of the world were separated by their languages. [page 26] Babylonian culture is the beginning of a culture of personality. This is evident from the myth of the Tower of Babel and the confusion of language in Babylonia. In very ancient times there was a single primal language, intelligible in the association of its sounds to every human being. This was connected with the leadership of the Mysteries. In the early Egyptian Mystery Centers, language was purely cultic. The rest of the people understood each other in a primal language, one can also say, by using sounds of Nature. This state of things came to an end with the Tower of Babel. We still live in clans today, only we call them, race, family, vocation, community, country, political party, etc. These act for us as group-soul existence did in the time of Gilgamesh and Enkidu in Uruk. We are charged with the task of creating a conscious individual Ego during this Consciousness Soul Age we live in which will separate us from our clan-based existence from now on. [page 26, 27] In lectures given in 1909 Rudolf Steiner speaks of how men today are still embroiled in conditions of group-soul existence. Race, family, vocation — all impart a definite stamp. But in this incarnation man must become an Ego, a conscious Ego, in order that in the next incarnation he may remember that Ego. In Rudolf Steiner's words: "Then he is reborn with this developed Ego and remembers himself as this Ego. And the deeper task of the Anthroposophical Movement today is to send over to their next incarnation a number of human beings each possessed of an Ego which enables them to remember their own, individual identity. And these will be the human beings who form the kernel of the next culture-epoch." The next time we meet Ita Wegman (IW) and Rudolf Steiner (RS) is in an a succeeding incarnation in Ephesus, this time IW is Mysa and is a female student of Cratylus (RS). Once more IW and RS are learning from each other. Thus a Teacher, So Also a Learner(7) is an insight I had around 1977 of the reciprocal relationship which inheres in a teacher and a student. In this next passage, Rudolf Steiner explains this the nature of the reciprocal processes which pass between teacher and student. The teacher gives lessons of spirit and soul to the pupil, and the pupil gives lessons of soul and spirit to the teacher. What makes a teacher a teacher is the advanced understanding of the spirit and that is conveyed to the pupil who receives them as soul lessons. The pupil is advanced in understanding of the soul and that is conveyed back to the teacher who receives them as spirit lessons. The teacher's understanding of the spirit is deepened as the pupil's understanding of the soul is deepened and this deepening increases each understanding of both soul and spirit. Thus a Teacher so Also a Learner. In this next passage the authors reveal the identity of Ita Wegman during her incarnation in Ephesus where she and Rudolf Steiner (Cratylus) were priests in the Temple of Ephesus which would be burnt down similar to the way the temple-like structure of the first Goetheanum would burn down later and trigger the remembrance of her earlier incarnation and lead her to ask Steiner for clarification. [page 37] The individualities who had lived in Uruk as Enkidu and Gilgamesh participated in all these happenings. As teacher and female pupil, for "in those days equality of rights between the sexes in the Mysteries was still a living reality" they shared in the impressive Initiation rites, in the profound spiritual secrets presented in the Ephesian Mystery, and in quiet, peaceful contemplation they were able, through new and momentous spiritual experiences, to shed light upon the intensely active life of the previous incarnation without becoming fully conscious of the course it had taken. Gilgamesh, who had sought for his friend Enkidu after the latter's early death, incarnates in Ephesus as a female figure, named "Mysa" by Rudolf Steiner. What is known about Steiner-Enkidu during his incarnation as the priest and teacher Cratylus in the Temple of Ephesus? [page 39] Concerning the important role played by the being Enkidu-Cratylus in the innermost procedures of the Mysteries of Ephesus, only little has been preserved for the external world and is certainly little known. His activity in Ephesus was concerned essentially with his own inner life, with penetration into the loftiest secrets; it was a preparation that was to be a source of strength far into the future. At this point we reach their dual incarnation as Aristotle and Alexander. Aristotle died at almost the same time as Alexander and was already teaching before Alexander's birth. This gives us some idea how much older Aristotle was than Alexander and how their two lives, while offset in time, were aligned to make maximum use of Aristotle at the heights of his teaching abilities to become the tutor for Alexander as a very young boy. His father Philip was to provide a fillip of fortune and fate for Alexander. We can find a thread of teaching in this book which proceeds from Cratylus (RS) to Socrates (Page 39) to Plato to Aristotle to Alexander (IW). When Alexander is born, it is the day of the fateful fire which burns down the temple of Ephesus. [page 45] The very date of his birth immortalized him in a certain way, for it was the day when the Temple of Diana in Ephesus went up in flames — the result of the criminal deed of a man, Herostratus, who hoped by this means to ensure immortality for himself. The physical center of Alexander's previous incarnation was destroyed on the very day of his new birth. — But he found his teacher again and a great deal for which the foundation had been laid in Ephesus could be kindled to life and made of use for the conditions then prevailing on the Earth. Aristotle took his pupil to Samothrace in order to acquaint him with the famous centers of learning belonging to antiquity. In Samothrace, under the influence of the Mysteries of the Kabiri, there arose in the teacher something that was like a memory of the former concurrent incarnation in Ephesus. In the beginning of this review I mentioned that Alexander's destiny was to bring knowledge of the coming of Christ to the Earth. In this next passage we find an example of one of the pre-Christian teachings of the appearance of Christ Jesus (the God Jacchos) in the coming centuries after Alexander's time. [page 55] In Lecture XI (Dec. 15, 1923) of the Course entitled Mystery Knowledge and Mystery Centers, we find the following passage: "To spread over Europe a system of Logic was the destiny of Aristotle rather than, if I may so express it, his natural path of development. For after all — in order to give an illustration of this strange fact — it would be well-nigh impossible to conceive that Plato could have been Alexander's teacher, whereas Aristotle was obviously suitable for this task." At the end of the previous lecture (Dec. 14, 1923) Rudolf Steiner describes the culminating experience undergone in the Eleusinian Initiation, namely, the vision of the female figure suckling the Child. The pupil was then informed of the meaning of the declaration: "That is the God Jacchos who is to come at some future time. Thus did the pupil in Greece learn in advance to have some understanding of the Christ Mystery." [page 53] We will linger with this highly significant picture: Plato and Aristotle in conversation, both discerning the situation, both filled with anxiety as to the fate of spiritual culture now standing at a critical point. One of them passes on his mission — the other takes it upon himself. Rudolf Steiner attached great importance to this being rightly understood. When during an evening in December, 1923, we were able to accompany him back to the Villa Hansi, he voiced his grave concern that this meeting is so grossly distorted by history as to give the impression of there having been strife between the teacher and the pupil, thus preventing later generations from being able to see the truth through the mirage of this fable convenue. No one will dispute the importance Aristotelian logic has had on the development of science and technology since the fifteenth century, but what is little known is that only a tiny bit of Aristotle's works on science has remained to us, in fact, only the small fraction Alexander carried with him to Asia. [page 55] In the same lecture [Lecture X (Dec. 14, 1923) of the Course entitled Mystery Knowledge and Mystery Centers ] it is then said that the time for Eleusinian Natural Science in Greece was past and that all that could be saved of it was what Alexander, to whom it had been imparted by Aristotle, took to Asia. As a more "external example" of the tragedy of this incarnation in the fourth century B.C. to which reference is often made, Rudolf Steiner speaks of the fact that only the smallest part of the very significant writings of Aristotle on Natural Science were preserved and found their way to Europe — in point of fact only those that deal with Logic(10). What were the parts of Aristotle's Natural Science which were lost or neglected to be brought forth? World History covers the missing portions well and the authors of this current book summarize them for us — the portions dealing with the elements of Earth, Water, Air, and Fire and the elemental (supersensible) world which lives invisibly around us — which Aristotle could yet perceive but our hardened sensory apparatus cannot perceive, up until now. [page 56] What was this Natural Science which was an integral part of the content of the Eleusinian Mysteries and also of what Alexander learned from Aristotle and took to Asia? Only a few examples shall be given here. Apart from the teaching concerning the four elements lying at the root of all Creation, namely Fire, Air, Water, Earth, which were still experienced in connection with the constitution of man and the elemental world, there were also the wonderful experiences conveyed by the Father statue — of the Earth being endowed with the metals. The Father of the world offered the metals to the Earth-Mother and she received them, clothed them in earthly substance. These experiences yielded the answer to the question: Man is a microcosm, is composed of everything that is present in the macrocosm, but how do I find in the microcosm the metals in the cosmic world around me? Rudolf Steiner describes the experience* as follows: "In the spirit — as it were in a real vision — the Father statue of the true Mysteries in Eleusis became alive and offered the metals — in their pristine form — to the female figure near by . . . And in his vision the pupil saw the female figure receiving the metals in this pristine state and enveloping them with what the Earth could give from her own being, when she had become Earth". . . . "A hand lovingly outstretched from the Mother statue received what was being offered to her by the Father statue — this made a deep and powerful impression upon the pupil, for there he beheld the Cosmos working in connection with the Earth in the course of the aeons. And thus he learned to understand what the Earth has to offer" . .. "And then, after all this had been experienced it was inwardly deepened in the pupil as he contemplated the Father and the Mother statues. These figures evoked in his soul a picture of the forces of the Cosmos and of the Earth in polarity, and then he was led into the Holy of Holies." Here he beheld the female figure suckling the Child at her breast and he was told: "This is the God Jacchos who will come in the future." Later in the same lecture it is said that in the days of Aristotle it was taught that "the Christ must be known and recognized. The third picture, the female figure carrying the Jacchos Child at her breast must also be understood. 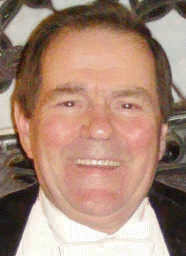 But it was said that what would bring understanding of this third figure has yet to come in the evolution of humanity. Without being able to record it in writing, Aristotle often made this clear to his pupil Alexander the Great." To summarize, we can see that Alexander the Great brought the message to the known world of his time that "Christ is coming"; Saint Paul the message that "Christ has arrived"; and Rudolf Steiner the message that "Christ will return in Glory in 1928". Since 1928, those called upon Christ Jesus for assistance have had Him appear to them in a personal way to help them. These visions exist in the etheric plane which the original mean of "Glory" which with the waning of human ability to see the etheric plane had taken on more materialistic connotations in our time. [page 60] As the outcome of these Greek incarnations of Plato, Aristotle and Alexander we can certainly assume that they were connected in a special way with the development of the Ego and with the preparation of the descent of the Christ in whom all human Egos are embraced. They also knew of Christ as a Sun Being and that His earthly birth through the .Earth Mother was proclaimed in the Mysteries. But this did not in any way mean that they were yet Christians. For the crucial Event which then took place on the Earth was the Mystery of Golgotha, the Death and Resurrection, the flowing of the Blood into the Earth and the preservation of that Blood in the Grail chalice. 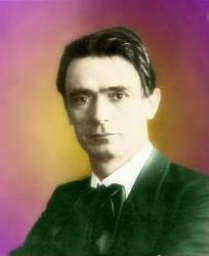 Rudolf Steiner indicates time and again that understanding of this Event was possible only for one who was either a contemporary of the Mystery of Golgotha or had been subsequently incarnated. The union of Christ with the Earth, the flowing of the Blood into the Earth with the consequent transformation of earthly substance, Christ's entry into the hearts of men — these mysteries can be understood only from the standpoint of an earthly life. Where were Aristotle (RS) and Alexander (IW) headed after their incarnation in Greece? We find them in the Grail epoch which the author will consider next, and we receive a pointer to their succeeding incarnations as Thomas Aquinas and Reginald of Piperno. [page 61] It is in this light that the incarnation of Aristotle and Alexander the Great in the Grail epoch must be considered. Of that incarnation Rudolf Steiner said, also in a private conversation: "I was obliged to incarnate in a stream completely foreign to me in order to acquire the Christian fervor which I needed for the Thomas Incarnation." Where was this foreign stream located? On Odile's Hill in the Alsace region, the same region from which my patronymic ancestor, Johann Adam Matern, migrated in 1721 to Louisiana(11). The two individuals Aristotle (RS) and Alexander (IW) lived there, "unknown and unheeded, in a corner of Europe of importance for Anthroposophy, dying at an early age but gazing for a brief moment, as it were through a window, into the civilization of the West, receiving impressions and impulses but giving none of any significance themselves. That was to come later." (12) Who were these two Grail individualities? [page 73] Brief indications by Rudolf Steiner were, to begin with, all that were given to us. No documents on the subject exist and verbal indications only are available. These point to the figures of Schionatulander and Sigune, who play an important role in the Parsifal legend itself but have remained almost unknown. Here's a brief summary of the parts this couple played in the Grail adventure. [page 74] Sigune lives by the side of Herzeleide. She loves Schionatulander but she longs to read the stellar script, called "Brackenseil" in the legend; it is the leash belonging to the hound whose name is "Gardevias" — Guardian of the Pathways. Does this indicate that Sigune is still fearful of the descent into incarnation from the world of stars? She longs to read further in the twelve-fold stellar script -- clearly indicated here in Brackenseil. In the attempt to bring it to her, Schionatulander is killed by Orilus who is actually looking for Parsifal. Schionatulander dies instead of Parsifal; he becomes a guardian spirit of Parsifal and certainly guides his further steps. Some Anthroposophists in their anthropo-sophistry claim that Rudolf Steiner could not have been Aristotle because in Steiner's lifetime he disdained Aristotle's works. But it is common for modern man to disdain the tools of earlier man. Take, for example, stone axes, compared to our modern steel axes — who would say the stone axes were better? Yet, we would have never progressed to steels axes but for the demonstrated usefulness at the time of stone axes. Similarly for Aristotle's mode of thinking. His Logic only permitted A and not-A, and yet today we realize that those are only two of the possibilities. Alfred Korzybski devoted his life to demonstrating the usefulness of non-Aristotelian thinking(13) and Steiner would have agreed with him. The usefulness of Aristotle's stone axe mode of thinking can, however, not be denied — even the Arabian thinking seized upon it, even spreading it into the western reaches of the European continent. [page 76] The work of Aristotle on Earth was of great significance. In every branch of Science, in Art and in Religion, it was universal in scope. Hence soon after the death of Aristotle it found its way into every domain of culture. The writings on Natural Science in particular were seized upon by the Arabic world, expounded and turned to account in important inventions. Many learned men lived at the Arabian Court; ancient Mystery-knowledge was applied there but veneration paid to the one and only God. Human thinking was regarded as being a single drop out of the all-pervading Intelligence of the one God. While Haroun al Raschid was ruling — A.D. 786 to A.D. 809 — many brilliant and enlightened scholars belonged to this Court and on triumphant journeys carried Aristotelian knowledge across North Africa, into Spain and thence into Europe. Haroun al Raschid and his Counselor became intensely anti-Christian and met with the spiritual individualities of Aristotle and Alexander in a struggle in the spiritual world over Christianizing Europe which led to their forming together under the leadership of the Archangel Michael to prepare for their future incarnation. This strife in heaven was reflected on Earth and led to an Ecumenical Council being held in Constantinople to decide on the true nature of man. [page 77] These happenings in the super-terrestrial worlds are mirrored on the Earth in many controversies about the nature of the spiritual. They too reach their culmination in the year 869 at the eighth Ecumenical Council in Constantinople. Here there was a struggle to understand the Trichotomy of man: does he consist of body, soul and spirit? Finally the Church party with its tendency to materialism wins the day and the result is the formulation of the dogma: man consists of body and soul alone, the soul having certain spiritual qualities. Belief is a good thing, right? If only more people believed in God, believed in Christ Jesus, believed in the spiritual world, wouldn't that be wonderful? Well, unfortunately not. To put it bluntly, "Belief in belief is a trick of the Thief!" Whoa! Am I saying that one should not believe in anything? No, but belief by itself is what Ahriman, the ultimate Trickster, wants us to have: Belief — not authentic concepts of the spiritual world — a naive belief in all the things we are instructed to believe, without questioning them or seeking deeper for authentication and validation. We are currently experiencing an evolution of humanity in which the "close inner connection" of our physical heart and etheric heart is disappearing. "By the year 2100, approximately, man's physical heart will have been entirely freed from its etheric part." (Page 80) The previously close association of the physical heart and etheric heart meant a direct and indisputable feeling in human beings for the spiritual world without need for belief. Over the centuries, as the two hearts began to dissociate from each other, maintaining this feeling for the spiritual world became more and more difficult, and into the breach sprang Ahriman with his sleight-of-hand solution, "Just believe in the spiritual world — that's enough!" Enough, surely, but for what? Enough to completely materialize the human heart over time and bring rampant materialism to the world unless this express locomotive of Belief is stalled in its tracks. We must learn to neutralize this caustic and corrosive "belief in belief" and replace belief with knowledge. As anyone who has a student knows, knowledge is harder to come by than belief. [page 80] As long as the natural connection existed, a relation to spiritual worlds and the spiritual forces behind Nature was always maintained. What had formerly been a natural endowment must today be sought for along different paths. "This etheric heart that has been released from the physical heart will acquire its true relationship to the spiritual world if the individual concerned seeks for spiritual knowledge, for spiritual thoughts with an anthroposophical orientation." At end of the twelfth century, leading teachers of Chartres who had no part in Arabism (the mode of thought and belief of the Arab world, see page 90 passage below), went through the gates of death into the spiritual world and there took part in a conference, "a gathering together of souls who had just arrived in the spiritual world from places of Christian Initiation of which the School of Chartres was one, and souls who were on the point of descending to the Earth. In the spiritual realms these latter souls had preserved, not Platonism, but Aristotelianism, the inner impulse of the Intelligence deriving from the Michael Age in ancient times." (Pages 82, 83)They were soon ready to descend to Earth to transform intelligence through the Christ impulse, especially Aristotle (RS) himself. It was to be the incarnation following the Grail incarnation he had been preparing for. [page 83] The bearer of this new striving to transform the Intelligence through the Christ Impulse, is Aristotle himself. He incarnates now in the family of the Aquinos near Naples. His mother had cherished lofty plans for him but he enters the Mendicant Order of the Dominicans which had existed since 1216. From the quiet "cloister cell" he exercises a world-wide influence as the most illustrious scholar of the ecclesiastical system of thought known as Scholasticism. He is Thomas Aquinas. His teacher was Albertus Magnus. The Universities where Thomas taught were those of Cologne, Paris, Rome, Naples. "Who were the Scholastics? Were they the dingbat philosophers and clerics who argued about such ridiculous subjects as, 'How many angels can dance on the tip of a pin?' If so, they set science back hundreds of years by such folly!" That is how a typical scientist of today, taught in the highest halls of Academe, respected by all colleagues, might react to the mention of the Scholastics. They would be right about arguments about "angels on a pin" but they would completely miss the boat on the impact such arguments had upon the progress of science as we know it today! It was precisely that kind of abstract thinking in its process not its content (angels etal) that led to our ability as humans to handle the abstract concepts of Francis Bacon who used Aristotle's Logic and applied it to the material world in a way which opened the doors for Galileo and Newton to create a basis for the understanding the physical world which powers our technological achievements yet today. Rather than such abstract thinking delaying our science, it actually made it possible! [page 84] To grasp spiritual reality in pure thinking, to lead pure thinking with mathematical precision from idea to idea, from judgment to judgment — this was the faculty developed by Scholasticism and bequeathed to the spiritual history of mankind, above all through its great teachers: Albertus Magnus and Thomas Aquinas. With all the push coming from the Arabian peoples in our current time, it is good for Americans and other Westerners to understand the roots of Arabic thinking at the time of Thomas Aquinas and how he confronted it with Christianized thinking. [page 90] The Arabians adhered firmly to the idea of cosmic, universal Intelligence, whereas Thomas taught of the personal, human Intelligence, of personal, human thinking and personal immortality. The Arabians persisted in their contention that every human being can be fructified by the universal Intelligence but that there is no personal thinking, no personal immortality. After death a man passes into the ocean of Cosmic Intelligence, hence — so said the Arabians — there is no personal immortality. For Thomas, whose thinking was combined with fervent piety, the world of Ideas was connected with spiritual reality which comes to expression in the world of the senses around us, behind which there are Beings whom he calls "Intelligences". Along the way our thinking evolved from the cosmic realms of "Intelligences" to realms of human intelligence such as exists today. We progressed from the Grail Castle to King Arthur's Castle. This was the message carried by Reginald of Piperno, the young Dominican (IW), to Aquinas, the older Dominican (RS). [page 91, 92] In the same series of lectures, reference is also made to the fact that in the "Arthurian stream" it was not yet realized that the Cosmic Intelligence had fallen away from Michael and had now come to human beings. The Teachers of Chartres too, as long as they were on Earth, still adhered to the principle of Cosmic Intelligence. And the Grail Castle, as representative of the Intelligence that had now become Christian and human, was set up as a "polaric contrast" to the Castle of King Arthur. The message brought from Alanus ab Insulis by the young Dominican was surely to the effect that the Teachers of Chartres now in the spiritual world had realize d the significance of personal immortality, realized that the Intelligence had become human, were aware of the Christian thinking in the Grail stream and its connection with the world of stars. The authors ask a pertinent question whose answer should be clear to all who have followed the progression from ancient times to the present time in the course of this book, "Is it not significant that Thomas should have incarnated a few centuries before Bacon of Verulam, who then came down to the Earth to inaugurate the materialistic Natural Science by which the world is dominated today?" (Page 92) The drawing I made of the lighthouse shows the incarnations of Rudolf Steiner since 3,000 B.C. to the present and how he contributed to the founding of modern science culminating with Einstein famous statement about Light, E=MC2 which indicates that Energy is in effect Mass traveling at the speed of Light or conversely, Light when it slows down turns into Mass, i. e., the spiritual world is not perceptible to us because it exists in a realm where Light is not moving at all and where Mass does not exist. Energy is frozen spirit (Mass) which can be released into Light. This Logic, if followed, will convince you that it is folly to try to perceive spiritual realities with our materialized senses. It is a double folly to believe in the existence of the spiritual when by study one can become convinced of its existence without need for belief. Only through the development of spiritual sight, super-sensory perception — which Steiner possessed at birth and later proved such perception to be a human capability — can humans achieve spiritual sight. To do so requires a new organ to be developed consciously, which organ will in future centuries become a common human capability from birth onwards as it was for Rudolf Steiner. Why did I place Steiner above Einstein in the Lighthouse diagram? Because Einstein focused only upon what we can know about the physical world and by stretching what was formerly known about the physical world brought to the edge of the physical world, the phenomena known as the quantum enigma. Only by studying the world of Rudolf Steiner in addition to the world of Albert Einstein can one begin to understand the enigmatic effects of quantum paradoxes. While Einstein was shining Light onto the effects of the physical Sciences, Steiner was also shining Light onto the world of Art in the structure he designed to foster thinking in both the arts and the sciences in the etheric plane, the Goetheanum in Dornach, Switzerland. [page 99] In every domain of art, knowledge of man's being and natural science, lifeless thinking is overcome. The cosmic forces by which Nature and Earth were formed have come to a standstill and paralysis has set in. The resolve to vitalize these forces again by activating our own will — this leads us ultimately to make contact again with the etheric world, with the cosmic thoughts. "This is what may be called Michael culture. If we move through the world with the consciousness that with every look we direct outwards, with every tone we hear, something spiritual, something at least of the nature of soul streams into us, and that at the same time our soul-element streams out into the world, then we have acquired the consciousness which mankind needs for the future." [page 104] Everyone whose attention is directed to the Spiritual Science enunciated by Rudolf Steiner is amazed at the abundance of the literature which embraces every domain of science. In addition there is the renewal of the Arts, the birth of Eurythmy, the redemption of Speech and much else besides. This represents only part of his work. Many impulses were given in conversations with individuals and with small groups which then led to practical results in the different domains. A single life is not long enough to study Rudolf Steiner's work and genuinely understand it. The content of the books and lectures steadily increases in importance for anyone who occupies himself with it, and the data of knowledge expounded from the most varied points of view gradually converge into an all inclusive picture. The thought may often occur that there is something one has not yet read. But it has been received into the subconsciousness and goes on working there. As one reads, it seems altogether new. The germinating power of the truths not only increases the knowledge of the student but helps the reader too to grow and at new stages of life different and deeper insight is acquired. After reading over 165 books by Rudolf Steiner, I feel more as if he and I are working together side-by-side as I study his works. He and I are Teachers and Learners . Thus a Teacher so Also a Learner. [page 119] In the evening lecture at Torquay, 21 .VIII.24,† Rudolf Steiner referred to what had been said in the morning lecture about this collaborative work: "In the example I gave this morning to illustrate how the knowledge of material phenomena must be furthered and extended, I spoke of the interweaving, self-harmonizing Karma of two human beings." Involuntarily one is reminded by these words of the descriptions of the cooperation between teacher and pupil in Ephesus. What we have learned from our collaboration, Steiner and I, is that Karma is the only Judge. The Bible says it clearly, "Vengeance is mine, saith the Lord" — if one understands vengeance and Lord rightly. To someone who knows this as a deep reality, there can be no bitterness over any slight, insult, or deed, no matter how great, for every path that destiny forces us to take is exactly the right path for us to take. [page 132] The Age of freedom is also characterized by the fact that human beings must learn to see through the attacks made by the demons, to entice their secrets from them and pass on to the Hierarchies the knowledge thus gained. We are progressing from head man to heart man with the advent of the Consciousness Soul age. We have learned the Secret that the Fox told the Little Prince, "It is only with the heart that one can rightly what is essential is invisible to the eyes." We can step outside at night under the canopy of myriads of stars and hear them gently laughing, if we will only open our heart. Footnote 1. These are compiled into eight volumes and one can read my reviews of them by starting with Karmic Relationships, Volume 1. Footnote 2. Published in their current form as From-To books, such as From Crystals to Crocodiles. Theses sessions began in 1922 and lasted into 1924. Footnote 3. And where a permanent concrete Goetheanum exists today, having been rebuilt within a decade of the wooden structure's burning to the ground. Footnote 4. Quoted material in this passage comes from "World History in the Light of Anthroposophy. Footnote 5. From page 26, more details on this trip: "It is death and the problem of immortality which now induce Gilgamesh to seek for the successors of the Hibernian Mysteries where Atlantean wisdom still survived. He journeys to the Burgenland but is unable to retain the fruits of the Initiation he there receives." Footnote 6. Material in this passage comes from Occult History, Lectures II and IV, October 28 and 30, 1910. Footnote 7. See my Matherne's Rule #29. Footnote 8. Quoted from Lecture IV by Rudolf Steiner given on August 14, 1924. See Page 93 of the book. Review is here: True and False Paths in Spiritual Investigation. Return to text directly before Footnote 8. Footnote 9. Osiander-Schwab, Aristoteles Werke, XXIX. Footnote 10. Explained fully on page 68 of World History in Lecture 4, Dec. 27, 1923. ". . . only the smallest part of the writings of Aristotle have come into Western Europe, and there been further studied and preserved by the Church. In point of fact it is only the writings that deal with logic or are clothed in logical form." Footnote 11. In addition, I note that my mother's grandmother was Odile Babin. Footnote 12. From page 23 of Karmic Relationships, Volume 8, Lecture 2 in Torquay on August 14, 1924. Footnote 13. See Korzybski's classic founding document of General Semantics, Science and Sanity. Footnote 14. In my review of Images of Christ, I portray the research I did on this subject. It is not the view of academic scholars that the images of Christ changed after 869 A.D., but the evidence is there if they would but look with unbiased eyes. Footnote 15. Quoted material from "Impulses of the Past and Future in Social, GA#190a". Return to text directly before Footnote 15.